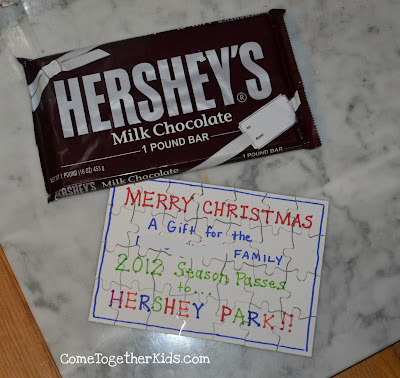 One of Santa's gifts to our family this year was season passes to a local amusement park. Although the passes took up a big chunk of the Christmas budget and will bring fun times all year long, there was really nothing to wrap or anything fun to present on Christmas morning. 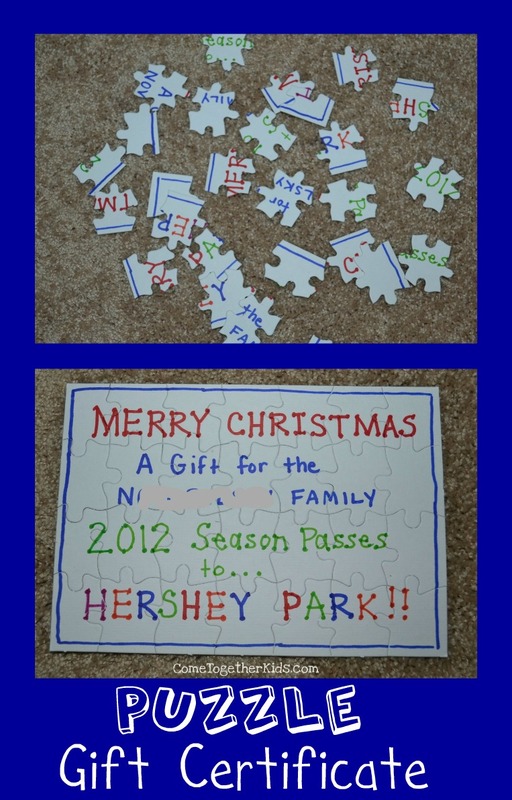 Then Santa's elves had the idea for a puzzle. It was a fun little activity to do in the midst of present opening, and it would work for any gift that is not wrap-able. As you can see,the "gift certificate" was just printed on a blank puzzle. Then the pieces were separated and put in a plastic bag. 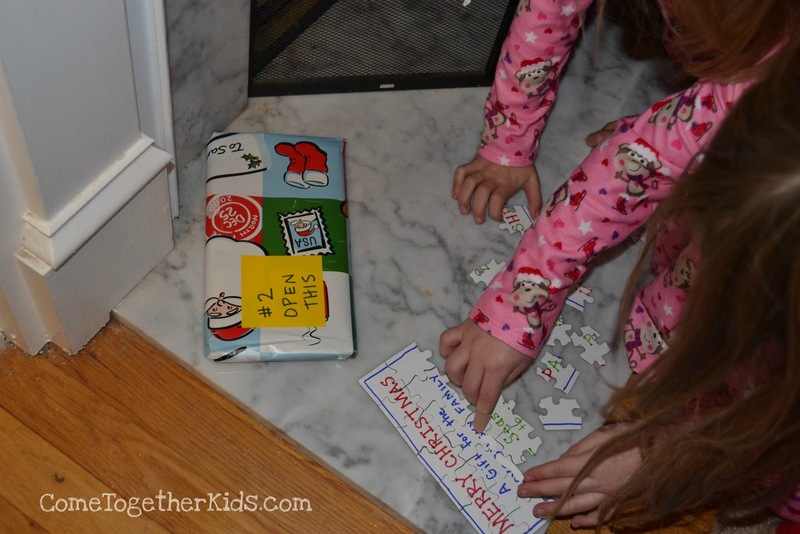 The kids truly LOVED putting the puzzle together and trying to figure out the message as the words were gradually revealed. 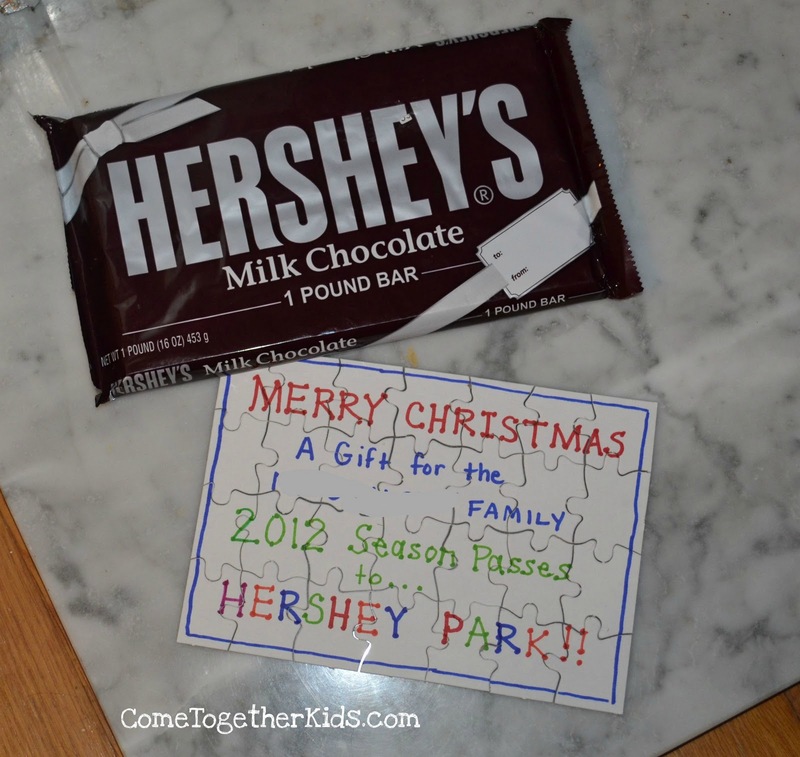 Of course, they also loved the big candy bar that they unwrapped after solving the puzzle. I think this puzzle idea would be a great way to present any kind of gift certificate or announce some kind of special treat. It definitely was a hit here. Oh my goodness. This is the best! so awesome! we did something similar for Christmas with our family cruise present. I love the DIY puzzles. But I never thought to make it as a gift certificate for something! Great idea!! What a fun blog! I love your ideas and how your blog is focused on the family. I am your newest follower and plan to return often! It's a great idea ^^ No need to fancy gift, love this idea.